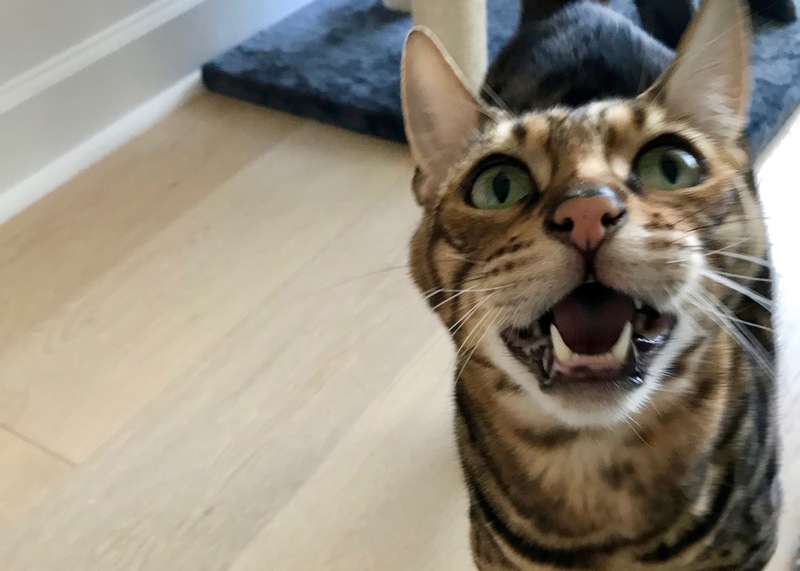 We at Custom Catios feel strongly that the answer is a big fat NO, but that’s the question Camille Schake asks at Good Pet Parent (hat tip to the highly recommended Facebook group, Kitty Gardens, Catios, House Cats And Catification). The article admits that the question “stirs a lively debate” on both sides. Those who support outdoor roaming cats believe keeping cats indoors is cruel, while indoor cat supporters argue that health and safety take precedence. All true, but it leaves out stress-relieving behaviors, such as over grooming, chewing inappropriate items, retreating into isolation, self-mutilation, compulsive behavior, and loss of appetite. Luckily, according to Schake, there are two ways to safely bring the great outdoors to your cat, including training your cat to walk on a leash and creating a catio or outdoor enclosure. We are obviously advocates for the latter remedy! Wherever you fall on the great cat debate, we strongly recommend the article which also includes a must read section on keeping your indoor cat happy.